• Three-point lap and shoulder belts for all seatingpositions. • Advanced Front Airbags for driver and front passenger. • Supplemental Active Head Restraints (AHR) locatedon top of the front seats (integrated into the headrestraint). • Supplemental Side Airbag Inflatable Curtains(SABIC) for the driver and passengers seated next to awindow — if equipped. • Supplemental Seat-Mounted Side Airbags (SAB) — ifequipped. • An energy-absorbing steering column and steeringwheel. • Knee bolsters/blockers for front seat occupants. • Front seat belts incorporate pretensioners to enhanceoccupant protection by managing occupant energyduring an impact event — if equipped. • All seat belt systems (except the driver’s) includeAutomatic Locking Retractors (ALRs), which lock theseat belt webbing into position by extending the beltall the way out and then adjusting the belt to thedesired length to restrain a child seat or secure a largeitem in a seat — if equipped. If you will be carrying children too small for adult-sizedseat belts, the seat belts or the Lower Anchors and Tetherfor CHildren (LATCH) feature also can be used to holdinfant and child restraint systems. Refer to “Lower Anchorsand Tether for CHildren (LATCH)”. NOTE: The Advanced Front Airbags have a multistageinflator design. This allows the airbag to have differentrates of inflation based on the severity and type ofcollision. Please pay close attention to the information in thissection. It tells you how to use your restraint systemproperly, to keep you and your passengers as safe aspossible. In a collision, you and your passengers can suffermuch greater injuries if you are not properly buckledup. You can strike the interior of your vehicle or otherpassengers, or you can be thrown out of the vehicle. Always be sure you and others in your vehicle arebuckled up properly. Buckle up even though you are an excellent driver, evenon short trips. Someone on the road may be a poor driverand cause a collision that includes you. This can happenfar away from home or on your own street. Research has shown that seat belts save lives, and theycan reduce the seriousness of injuries in a collision. Someof the worst injuries happen when people are thrownfrom the vehicle. Seat belts reduce the possibility ofejection and the risk of injury caused by striking theinside of the vehicle. Everyone in a motor vehicle shouldbe belted at all times. All seating positions in your vehicle are equipped withlap/shoulder belts. The belt webbing retractor will lock only during verysudden stops or collisions. This feature allows the shoulderpart of the belt to move freely with you under normalconditions. However, in a collision the belt will lock andreduce your risk of striking the inside of the vehicle orbeing thrown out. • It is dangerous to ride in a cargo area, inside oroutside of a vehicle. In a collision, people riding inthese areas are more likely to be seriously injuredor killed. • Wearing a seat belt incorrectly is dangerous. Seatbelts are designed to go around the large bones ofyour body. These are the strongest parts of yourbody and can take the forces of a collision the best. • Wearing your belt in the wrong place could makeyour injuries in a collision much worse. You mightsuffer internal injuries, or you could even slide outof part of the belt. Follow these instructions towear your seat belt safely and to keep your passengerssafe, too. • Two people should never be belted into a singleseat belt. People belted together can crash into oneanother in a collision, hurting one another badly. Never use a lap/shoulder belt or lap belt for morethan one person, no matter what their size. 1. Enter the vehicle and close the door. Sit back andadjust the seat. 2. The seat belt latch plate is above the back of the frontseat, next to your arm. Grasp the latch plate and pull outthe belt. Slide the latch plate up the webbing as far asnecessary to allow the belt to go around your lap. • A belt that is buckled into the wrong buckle willnot protect you properly. The lap portion couldride too high on your body, possibly causinginternal injuries. Always buckle your belt into thebuckle nearest you. • A belt that is too loose will not protect youproperly. In a sudden stop, you could move too farforward, increasing the possibility of injury. Wearyour seat belt snugly. Your body could strike the inside surfaces of thevehicle in a collision, increasing head and neckinjury. A belt worn under the arm can causeinternal injuries. Ribs aren’t as strong as shoulderbones. Wear the belt over your shoulder so thatyour strongest bones will take the force in acollision. • A shoulder belt placed behind you will not protectyou from injury during a collision. You are morelikely to hit your head in a collision if you do notwear your shoulder belt. The lap and shoulder beltare meant to be used together. 4. Position the lap belt across your thighs, below yourabdomen. To remove slack in the lap belt portion, pull upon the shoulder belt. To loosen the lap belt if it is too tight,tilt the latch plate and pull on the lap belt. A snug beltreduces the risk of sliding under the belt in a collision. • A lap belt worn too high can increase the risk ofinternal injury in a collision. The belt forces won’tbe at the strong hip and pelvic bones, but acrossyour abdomen. Always wear the lap belt as low aspossible and keep it snug. • A twisted belt can’t do its job properly. In acollision, it could even cut into you. Be sure thebelt is straight. If you can’t straighten a belt inyour vehicle, take it to your authorized dealerimmediately and have it fixed. 5. Position the shoulder belt on your chest so that it iscomfortable and not resting on your neck. The retractorwill withdraw any slack in the belt. If necessary, slide the latch plate down the webbing toallow the belt to retract fully. A frayed or torn belt could rip apart in a collision andleave you with no protection. Inspect the belt systemperiodically, checking for cuts, frays, or loose parts. Damaged parts must be replaced immediately. Donot disassemble or modify the system. Seat beltassemblies must be replaced after a collision if theyhave been damaged (i.e., bent retractor, torn webbing,etc.). Use the following procedure to untwist a twisted lap/shoulder belt. 1. Position the latch plate as close as possible to theanchor point. 2. At about 6 to 12 in (15 to 30 cm) above the latch plate,grasp and twist the belt webbing 180° to create a fold thatbegins immediately above the latch plate. The folded webbing must enter the slot at the top of thelatch plate. 4. Continue to slide the latch plate up until it clears thefolded webbing. In the front seat, the shoulder belt can be adjustedupward or downward to position the belt away fromyour neck. Push ANCHORAGE button to release theanchorage, and move it up or down to the position thatfits you best. As a guide, if you are shorter than average, you willprefer a lower position, and if you are taller than average,you will prefer a higher position. When you release theanchorage, try to move it up or down to make sure thatit is locked in position. The shoulder belt anchorages of the rear three-point beltsare nonadjustable for outboard and center rear passengerson sedans. The center belt is mounted to the rearshelf panel and exits through a bezel in the panel. The belt will still retract to remove any slack inthe shoulder belt. The Automatic Locking Mode is availableon all passenger-seating positions with a combinationlap/shoulder belt. Use the Automatic Locking Mode anytime a child safetyseat is installed in a seating position that has a belt withthis feature. Children 12 years old and under shouldalways be properly restrained in the rear seat. 2. Grasp the shoulder portion and pull downward untilthe entire belt is extracted. 3. Allow the belt to retract. As the belt retracts, you willhear a clicking sound. This indicates the safety belt isnow in the Automatic Locking Mode. Unbuckle the combination lap/shoulder belt and allow itto retract completely to disengage the Automatic LockingMode and activate the vehicle sensitive (emergency)locking mode. The seat belts for both front seating positions may beequipped with pretensioning devices that are designed toremove slack from the seat belt in the event of a collision. These devices improve the performance of the seat beltby assuring that the belt is tight about the occupant earlyin a collision. Pretensioners work for all size occupants,including those in child restraints. NOTE: These devices are not a substitute for proper seatbelt placement by the occupant. The seat belt still must beworn snugly and positioned properly. The pretensioners are triggered by the Occupant RestraintController (ORC). Like the airbags, the pretensionersare single use items. A deployed pretensioner or adeployed airbag must be replaced immediately. These head restraints are passive, deployable components,and vehicles with this equipment can not bereadily identified by any markings, only through visualinspection of the head restraint. The head restraint will besplit in two halves, with the front half being soft foamand trim, the back half being decorative plastic. The Occupant Restraint Controller (ORC) determineswhether the severity, or type of rear impact will requirethe Active Head Restraints (AHR) to deploy. If a rearimpact requires deployment, both the driver and frontpassenger seat AHRs will be deployed. When AHRs deploy during a rear impact, the front halfof the head restraint extends forward to minimize the gapbetween the back of the occupant’s head and the AHR. This system is designed to help prevent or reduce theextent of injuries to the driver and front passenger incertain types of rear impacts. NOTE: The Active Head Restraints (AHR) may or maynot deploy in the event of a front or side impact. However if during a front impact, a secondary rearimpact occurs, the AHR may deploy based on the severityand type of the impact. 1 — Head Restraint Front Half (Soft Foam and Trim). 3 — Head Restraint Back Half (Decorative Plastic Rear Cover). All occupants, including the driver, should not operatea vehicle or sit in a vehicle’s seat until the headrestraints are placed in their proper positions in orderto minimize the risk of neck injury in the event of acollision. NOTE: For more information on properly adjusting andpositioning the head restraint, refer to “Adjusting ActiveHead Restraints” in “Understanding The Features OfYour Vehicle”. If the Active Head Restraints are triggered in a collision,you must reset the head restraint on the driver’s andfront passenger seat. You can recognize when the ActiveHead Restraint has been triggered by the fact that theyhave moved forward (as shown in step three of theresetting procedure). 2. Position the hands on the top of the deployed AHR ata comfortable position. 3. Pull down then rearward towards the rear of thevehicle then down to engage the locking mechanism. 4. The AHR front soft foam and trim half should lockinto the back decorative plastic half. • If you have difficulties or problems resetting theActive Head Restraints, see an authorized dealer. • For safety reasons, have the Active Head Restraintschecked by a qualified specialist at an authorizeddealer. If the driver’s seat belt has not been buckled within60 seconds of starting the vehicle and if the vehicle speedis greater than 5 mph (8 km/h), the BeltAlert will alertthe driver to buckle the seat belt. The driver should alsoinstruct all other occupants to buckle their seat belts. Once the warning is triggered, the BeltAlert will continueto chime and flash the Seat Belt Reminder Light for96 seconds or until the driver’s seat belt is buckled. TheBeltAlert will be reactivated if the driver’s seat belt isunbuckled for more than 10 seconds and the vehiclespeed is greater than 5 mph (8 km/h). BeltAlert will be reactivated if the driver’s seat belt isunbuckled for more than 10 seconds and the vehiclespeed is greater than 5 mph (8 km/h). NOTE: The following steps must occur within the first60 seconds of the ignition switch being turned to the ONor START position. Chrysler Group LLC does not recommenddeactivating BeltAlert . 1. Turn the ignition switch to the LOCK position andbuckle the driver’s seat belt. 2. Turn the ignition switch to the ON position and waitfor the Seat Belt Reminder Light to turn off. 3. Unbuckle and then re-buckle the driver’s seat belt atleast three times within 10 seconds, ending with the seatbelt buckled. NOTE: Watch for the Seat Belt Reminder Light to turnon while unbuckling and off while re-buckling the seatbelt. It may be necessary to retract the seat belt partiallyeach time when unbuckling. 4. Turn the ignition switch to the LOCK position. Asingle chime will sound to signify that you have successfullycompleted the programming. BeltAlert can be reactivated by repeating this procedure. NOTE: Although BeltAlert has been deactivated, theSeat Belt Reminder Light will continue to illuminatewhile the driver’s seat belt remains unbuckled. We recommend that pregnant women use the seat beltsthroughout their pregnancy. Keeping the mother safe isthe best way to keep the baby safe. Pregnant women should wear the lap part of the beltacross the thighs and as snug across the hips as possible. Keep the belt low so that it does not come across theabdomen. That way the strong bones of the hips will takethe force if there is a collision. If a seat belt is too short, even when fully extended andwhen the adjustable upper shoulder belt anchorage (ifequipped) is in its lowest position, your authorizeddealer can provide you with a seat belt extender. Thisextender should be used only if the existing belt is notlong enough. When it is not required, remove the extender,and stow it. Using a seat belt extender when not needed canincrease the risk of injury in a collision. Only usewhen the lap belt is not long enough when it is wornlow and snug, and in the recommended seatingpositions. Remove and store the extender when notneeded. 1 — Driver Advanced Front Airbag. 2 — Passenger Advanced Front Airbag. NOTE: These airbags are certified to the new Federalregulations for Advanced Airbags. The Advanced Front Airbags have a multistage inflatordesign. This allows the airbag to have different rates ofinflation that are based on the severity and type ofcollision. This vehicle may be equipped with driver and/or frontpassenger seat track position sensors that may adjust theinflation rate of the Advanced Front Airbags based uponseat position. 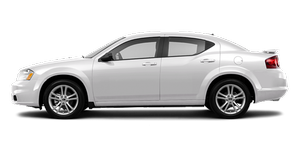 This vehicle may be equipped with a driver and/or frontpassenger seat belt buckle switch that detects whetherthe driver or front passenger seat belt is fastened. Theseat belt buckle switch may adjust the inflation rate of theAdvanced Front Airbags. This vehicle may also be equipped with SupplementalSide Airbag Inflatable Curtains (SABIC) to protect thedriver, front, and rear passengers sitting next to a window. If the vehicle is equipped with SABIC, they arelocated above the side windows. The trim covering theside airbags is labeled SRS AIRBAG. • Airbag covers may not be obvious in the interior trim;but they will open during airbag deployment. • After any collision, the vehicle should be taken to anauthorized dealer immediately. • Occupant Restraint Controller (ORC). • Steering Wheel and Column. • Driver Advanced Front Airbag. • Passenger Advanced Front Airbag. • Supplemental Seat-Mounted Side Airbags (SAB). • Supplemental Side Airbag Inflatable Curtains (SABIC). • Front and Side Impact Sensors. • Front Seat Belt Pretensioners, Seat Belt Buckle Switch,and Seat Track Position Sensors. • Supplemental Active Head Restraint for Driver andFront Passenger. The Advanced Front Airbag system has multistage driverand front passenger airbags. This system provides outputappropriate to the severity and type of collision asdetermined by the Occupant Restraint Controller (ORC),which may receive information from the front impactsensors. The first stage inflator is triggered immediately during animpact that requires airbag deployment. The timing ofthe second stage determines whether the output force islow, medium, or high. If a low output is sufficient to meetthe need, the remaining gas in the inflator is expended. • No objects should be placed over or near theairbag on the instrument panel, because any suchobjects could cause harm if the vehicle is in acollision severe enough to cause the airbag toinflate. • Do not put anything on or around the airbagcovers or attempt to open them manually. You maydamage the airbags and you could be injuredbecause the airbags may no longer be functional. The protective covers for the airbag cushions aredesigned to open only when the airbags are inflating. • Do not drill, cut or tamper with the knee bolster inany way. • Do not mount any accessories to the knee bolstersuch as alarm lights, stereos, citizen band radios,etc. Supplemental Seat-Mounted Side Airbags provide enhancedprotection to help protect an occupant during aside impact. The Supplemental Seat-Mounted Side Airbagis marked with an airbag label sewn into the outboardside of the front seats. When the airbag deploys, it opens the seam between thefront and side of the seat’s trim cover. Each airbagdeploys independently, that is a left side impact deploysthe left airbag only and a right-side impact deploys onlythe right airbag. SABIC airbags may offer side-impact and vehicle rolloverprotection to front and rear seat outboard occupants inaddition to that provided by the body structure. Eachairbag features inflated chambers placed adjacent to thehead of each outboard occupant that reduce the potentialfor side-impact head injuries. The SABIC airbags deploydownward, covering both windows on the impact side. • Should a vehicle rollover occur, the pretensionersand/or SABIC curtains on both sides of the vehiclemay deploy. The system includes side impact sensors adjacent to bothfront and rear seat occupants that are calibrated to deploythe SABIC airbags during impacts that require airbagoccupant protection. • If your vehicle is equipped with left and rightSupplemental Side Airbag Inflatable Curtain(SABIC), do not stack luggage or other cargo uphigh enough to block the location of the SABIC. The area where the SABIC is located should remainfree from any obstructions. • Do not use accessory seat covers or place objectsbetween you and the side airbags; the performancecould be adversely affected and/or objects couldbe pushed into you, causing serious injury. The Knee Impact Bolsters help protect the knees of thedriver and the front passenger, and position front occupantsfor the best interaction with the Advanced FrontAirbags. Along with seat belts and pretensioners, Advanced FrontAirbags work with the knee bolsters to provide improvedprotection for the driver and front passenger. Side airbagsalso work with seat belts to improve occupant protection. 1. Children 12 years old and under should always ridebuckled up in a rear seat. Infants in rear facing child restraints should NEVERride in the front seat of a vehicle with a passengerAdvanced Front Airbag. An airbag deployment cancause severe injury or death to infants in that position. Children that are not big enough to wear the vehicle seatbelt properly (see section on Child Restraints) should besecured in the rear seat in child restraints or beltpositioningbooster seats. Older children who do not usechild restraints or belt-positioning booster seats shouldride properly buckled up in the rear seat. Never allowchildren to slide the shoulder belt behind them or undertheir arm. If a child from 1 to 12 years old (not in a rear facing childseat) must ride in the front passenger seat, move the seatas far back as possible and use the proper child restraint. (Refer to “Child Restraints”)You should read the instructions provided with yourchild restraint to make sure that you are using it properly. 2. All occupants should ALWAYS wear their lap andshoulder belts properly. 3. The driver and front passenger seats should bemoved back as far as practical to allow the AdvancedFront Airbags room to inflate. 4. Do not lean against the door or window. If yourvehicle has side airbags, and deployment occurs, theside airbags will inflate forcefully into the space betweenyou and the door. • Relying on the airbags alone could lead to moresevere injuries in a collision. The airbags workwith your seat belt to restrain you properly. Insome collisions, the airbags won’t deploy at all. Always wear your seat belts even though you haveairbags. • Being too close to the steering wheel or instrumentpanel during Advanced Front Airbag deploymentcould cause serious injury, including death. Airbagsneed room to inflate. Sit back, comfortablyextending your arms to reach the steering wheel orinstrument panel. • Side airbags also need room to inflate. Do not leanagainst the door or window. Sit upright in thecenter of the seat. Occupant Restraint Controller (ORC)The ORC is part of a Federally regulated safety systemrequired for this vehicle. The ORC determines if deployment of the front and/orside airbags in a frontal or side collision is required. Basedon the impact sensors signals, a central electronic ORCdeploys the Advanced Front Airbags, SABIC airbags — ifequipped, Supplemental Seat-Mounted Side Airbags — ifequipped, and front seat belt pretensioners — ifequipped, as required, depending on the severity andtype of impact. Advanced Front Airbags are designed to provide additionalprotection by supplementing the seat belts incertain frontal collisions depending on the severity andtype of collision. Advanced Front Airbags are not expectedto reduce the risk of injury in rear, side, or rollovercollisions. The Advanced Front Airbags will not deploy in all frontalcollisions, including some that may produce substantialvehicle damage — for example, some pole collisions,truck underrides, and angle offset collisions. On the otherhand, depending on the type and location of impact,Advanced Front Airbags may deploy in crashes withlittle vehicle front-end damage but that produce a severeinitial deceleration. The side airbags will not deploy in all side collisions. Sideairbag deployment will depend on the severity and typeof collision. Because airbag sensors measure vehicle deceleration overtime, vehicle speed and damage by themselves are notgood indicators of whether or not an airbag should havedeployed. Seat belts are necessary for your protection in all collisions,and also are needed to help keep you in position,away from an inflating airbag. The ORC monitors the readiness of the electronic parts ofthe airbag system whenever the ignition switch is in theSTART or ON position. If the key is in the OFF position,in the ACC position, or not in the ignition, the airbagsystem is not on and the airbags will not inflate. The ORC contains a backup power supply system thatmay deploy the airbags even if the battery loses power orit becomes disconnected prior to deployment. Also, the ORC turns on the Airbag WarningLight in the instrument panel for approximatelysix to eight seconds for a self-checkwhen the ignition is first turned on. After theself-check, the Airbag Warning Light will turn off. If theORC detects a malfunction in any part of the system, itturns on the Airbag Warning Light, either momentarilyor continuously. A single chime will sound if the lightcomes on again after initial startup. It also includes diagnostics that will illuminate the instrumentcluster Airbag Warning Light if a malfunction isnoted that could affect the airbag system. The diagnosticsalso record the nature of the malfunction. Ignoring the Airbag Warning Light in your instrumentpanel could mean you won’t have the airbags toprotect you in a collision. If the light does not comeon, stays on after you start the vehicle, or if it comeson as you drive, have an authorized dealer service theairbag system immediately. The Driver and Passenger Airbag Inflator Units arelocated in the center of the steering wheel and the rightside of the instrument panel. When the ORC detects acollision requiring the Advanced Front Airbags, it signalsthe inflator units. A large quantity of non-toxic gas isgenerated to inflate the Advanced Front Airbags. Differentairbag inflation rates are possible, based on thecollision type and severity. The steering wheel hub trimcover and the upper right side of the instrument panelseparate and fold out of the way as the airbags inflate totheir full size. The airbags fully inflate in about 50 to 70milliseconds. This is about half of the time it takes toblink your eyes. The airbags then quickly deflate whilehelping to restrain the driver and front passenger. The Advanced Front Airbag gas is vented through thevent holes in the sides of the airbag. In this way, theairbags do not interfere with your control of the vehicle. The Side Impact (SRS) Seat-Mounted Side Airbags aredesigned to activate only in certain side collisions. The ORC determines if a side collision requires the sideairbags to inflate based on the severity and type ofcollision. Based on the severity and type of collision, the sideairbag inflator on the crash side of the vehicle may betriggered, releasing a quantity of non-toxic gas. Theinflating side airbag exits through the seat seam into thespace between the occupant and the door. The sideairbags fully inflate in about 10 milliseconds. The sideairbag moves at a very high speed and with such a highforce, that it could injure you if you are not seatedproperly, or if items are positioned in the area where theside airbag inflates. This especially applies to children. During collisions where the impact is confined to aparticular area of the side of the vehicle, the ORC maydeploy the SABIC airbags, depending on the severity andtype of collision. In these events, the ORC will deploy theSABIC only on the impact side of the vehicle. Aquantity of non-toxic gas is generated to inflate the sidecurtain airbag. The inflating side curtain airbag pushesthe outside edge of the headliner out of the way andcovers the window. The airbag inflates in about 30 ms(about one-quarter of the time that it takes to blink youreyes) with enough force to injure you if you are not beltedand seated properly, or if items are positioned in the areawhere the side curtain airbag inflates. This especiallyapplies to children. The side curtain airbag is only about3-1/2 in (9 cm) thick when it is inflated. Because airbag sensors estimate deceleration over time,vehicle speed and damage are not good indicators ofwhether or not an airbag should have deployed. NOTE: In a rollover the pretensioners and/or SABICairbags may deploy on both sides of the vehicle. In front and side impacts, impact sensors can aid theORC in determining appropriate response to impactevents. Additional sensors in the ORC determine thelevel of airbag deployment and provide verification. • Flash hazard lights as long as the battery has power oruntil the ignition key is turned off. • Turn on the interior lights, which remain on as long asthe battery has power or until the ignition key isremoved. The front airbags are designed to deflate immediatelyafter deployment. NOTE: Front and/or side airbags will not deploy in allcollisions. This does not mean something is wrong withthe airbag system. • The nylon airbag material may sometimes cause abrasionsand/or skin reddening to the driver and frontpassenger as the airbags deploy and unfold. Theabrasions are similar to friction rope burns or thoseyou might get sliding along a carpet or gymnasiumfloor. They are not caused by contact with chemicals. However, if you haven’t healed significantly within afew days, or if you have any blistering, see your doctorimmediately. • As the airbags deflate, you may see some smoke-likeparticles. The particles are a normal by-product of theprocess that generates the non-toxic gas used forairbag inflation. These airborne particles may irritatethe skin, eyes, nose, or throat. If you have skin or eyeirritation, rinse the area with cool water. For nose orthroat irritation, move to fresh air. If the irritationcontinues, see your doctor. If these particles settle onyour clothing, follow the garment manufacturer’s instructionsfor cleaning. Do not drive your vehicle after the airbags have deployed. If you are involved in another collision, theairbags will not be in place to protect you. Deployed airbags and seat belt pretensioners cannotprotect you in another collision. Have the airbags,seat belt pretensioners, and the front passenger seatbelt retractor assembly replaced by an authorizeddealer as soon as possible. Also, have the OccupantRestraint Controller System serviced as well. • Modifications to any part of the airbag systemcould cause it to fail when you need it. You couldbe injured if the airbag system is not there toprotect you. Do not modify the components orwiring, including adding any kind of badges orstickers to the steering wheel hub trim cover or theupper right side of the instrument panel. Do notmodify the front bumper, vehicle body structure,or add aftermarket side steps or running boards. • It is dangerous to try to repair any part of theairbag system yourself. Be sure to tell anyone whoworks on your vehicle that it has an airbag system. • Do not attempt to modify any part of your advancedairbag system. The airbag may inflateaccidentally or may not function properly if modificationsare made. Take your vehicle to an authorizeddealer for any advanced airbag system service. If your seat including your trim cover andcushion needs to be serviced in any way (includingremoval or loosening/tightening of seat attachmentbolts), take the vehicle to your authorizeddealer. Only manufacturer approved seat accessoriesmay be used. If it is necessary to modify theairbag system for persons with disabilities, contactyour authorized dealer. You will want to have the airbags ready toinflate for your protection in a collision. Whilethe airbag system is designed to be maintenancefree, if any of the following occurs, havean authorized dealer service the system immediately. • The Airbag Warning Light does not come on duringthe six to eight seconds when the ignition switch isfirst turned on. • The Airbag Warning Light remains on after the six toeight second interval. • The Airbag Warning Light comes on intermittently orremains on while driving. NOTE: If the speedometer, tachometer, or any enginerelated gauges are not working, the Occupant RestraintController (ORC) may also be disabled. The airbags maynot be ready to inflate for your protection. Promptlycheck the fuse block for blown fuses. Refer to the labellocated on the inside of the fuse block cover for theproper airbag fuses. See your authorized dealer if thefuse is good. In the event of a collision, your vehicle is designed torecord up to five seconds of specific vehicle data parameters(see list below) in an event data recorder prior to themoment of airbag deployment, or near deployment (ifapplicable), and up to a quarter second of either highspeeddeceleration data or change in velocity duringand/or after airbag deployment or near-deployment. EDR data is ONLY recorded if an airbag deploys, ornearly deploys, and is otherwise unavailable. 1. A near-deployment event occurs when the airbagsensor detects severe vehicle deceleration usually indicativeof a crash, but not severe enough to warrant airbagdeployment. 2. Under certain circumstances, EDR data may not berecorded (e.g., loss of battery power). In conjunction with other data gathered during a completeaccident investigation, the electronic data may beused by Chrysler Group LLC and others to learn moreabout the possible causes of crashes and associatedinjuries in order to assess and improve vehicle performance. In addition to crash investigations initiated byChrysler Group LLC, such investigations may be requestedby customers, insurance carriers, governmentofficials, and professional crash researchers, such as thoseassociated with universities, and with hospital and insuranceorganizations. 1. Used for research purposes, such as to match datawith a particular crash record in an aggregate database,provided confidentiality of personal data is thereafterpreserved. 2. Used in defense of litigation involving a ChryslerGroup LLC product. 3. Requested by police under a legal warrant. 4. Otherwise required by law. • Diagnostic trouble code(s) and warning light status forelectronically-controlled safety systems, including theairbag system• Vehicle speed. • And other parameters depending on vehicleconfiguration. Everyone in your vehicle needs to be buckled up all thetime, including babies and children. Every state in theUnited States and all Canadian provinces require thatsmall children ride in proper restraint systems. This is thelaw, and you can be prosecuted for ignoring it. Children 12 years and younger should ride properlybuckled up in a rear seat, if available. According to crashstatistics, children are safer when properly restrained inthe rear seats, rather than in the front. In a collision, an unrestrained child, even a tiny baby,can become a projectile inside the vehicle. The forcerequired to hold even an infant on your lap couldbecome so great that you could not hold the child, nomatter how strong you are. The child and otherscould be badly injured. Any child riding in yourvehicle should be in a proper restraint for the child’ssize. There are different sizes and types of restraints forchildren from newborn size to the child almost largeenough for an adult safety belt. Always check the childseat owner’s manual to ensure you have the correct seatfor your child. Use the restraint that is correct for yourchild. • Safety experts recommend that children riderearward-facing in the vehicle until they are at leastone year old and weigh at least 20 lbs (9 kg). Two typesof child restraints can be used rearward-facing: infantcarriers and convertible child seats. Both types of childrestraints are held in the vehicle by the lap/shoulderbelt or the LATCH child restraint anchorage system. Refer to “Lower Anchors and Tether for CHildren(LATCH)”. • The infant carrier is only used rearward-facing in thevehicle. It is recommended for children who weigh upto about 20 lbs (9 kg). Convertible child seats can beused either rearward-facing or forward-facing in thevehicle. Convertible child seats often have a higherweight limit in the rearward-facing direction thaninfant carriers do, so they can be used rearward-facingby children who weigh more than 20 lbs (9 kg) but areless than one year old. Rearward-facing child seats must NEVER be used inthe front seat of a vehicle with a front passengerairbag. An airbag deployment could cause severeinjury or death to infants in this position. Children who weigh more than 20 lbs (9 kg) and who areolder than one year can ride forward-facing in thevehicle. Forward-facing child seats and convertible childseats used in the forward-facing direction are for childrenwho weigh 20 to 40 lbs (9 to 18 kg) and who are olderthan one year. These child seats are also held in thevehicle by the lap/shoulder belt or the LATCH childrestraint anchorage system. Refer to “Lower Anchors andTether for CHildren (LATCH)”. The belt-positioning booster seat is for children weighingmore than 40 lbs (18 kg), but who are still too small to fitthe vehicle’s seat belts properly. If the child cannot sitwith knees bent over the vehicle’s cushion while thechild’s back is against the seatback, then the child shoulduse a belt-positioning booster seat. The child and boosterseat are held in the vehicle by the lap/shoulder belt. • Improper installation can lead to failure of aninfant or child restraint. It could come loose in acollision. The child could be badly injured orkilled. Follow the manufacturer’s directions exactlywhen installing an infant or child restraint. • A rearward-facing child restraint should only beused in a rear seat. A rearward-facing child restraintin the front seat may be struck by a deployingpassenger airbag which may cause severe orfatal injury to the infant. • Children who are large enough to wear the shoulderbelt comfortably, and whose legs are long enough tobend over the front of the seat when their back isagainst the seatback, should use the lap/shoulder beltin a rear seat. • Before buying any restraint system, make sure that ithas a label certifying that it meets all applicable SafetyStandards. We also recommend that you make surethat you can install the child restraint in the vehiclewhere you will use it, before you buy it. • The restraint must be appropriate for your child’sweight and height. Check the label on the restraint forweight and height limits. • Carefully follow the instructions that come with therestraint. If you install the restraint improperly, it maynot work when you need it. • All passenger seating positions contain automaticlocking retractors. However, any seat belt system willloosen with time, so check the belt occasionally andpull it tight if necessary. • In the rear seat, you may have trouble tightening thelap/shoulder belt on the child restraint because thebuckle or latch plate is too close to the belt pathopening on the restraint. Disconnect the latch platefrom the buckle and twist the short buckle end of thebelt several times to shorten it. Insert the latch plateinto the buckle with the release button facing out. • If the belt still can’t be tightened, or if pulling andpushing on the restraint loosens the belt, disconnectthe latch plate from the buckle, turn the latch platearound, and insert the latch plate into the buckleagain. If you still can’t make the child restraint secure,try a different seating position. • Buckle the child into the seat according to the childrestraint manufacturer’s directions. When your child restraint is not in use, secure it inthe vehicle with the seat belt or remove it from thevehicle. Don’t leave it loose in the vehicle. In asudden stop or collision, it could strike the occupantsor seatbacks and cause serious personal injury. Your vehicle is equipped with the child restraint anchoragesystem called LATCH, which stands for LowerAnchors and Tether for CHildren. The LATCH systemprovides for the installation of the child restraint withoutusing the vehicle seat belt. All three rear seating positionshave lower anchorages that are capable of accommodatingLATCH-compatible child seats having flexible,webbing-mounted lower attachments. Child seats withfixed lower attachments must be installed in the outboardpositions only. Regardless of the specific type oflower attachment, NEVER install LATCH-compatiblechild seats such that two seats share a common loweranchorage. If you are installing LATCH-compatible childrestraints in adjacent rear seating positions, you can usethe LATCH anchors or the vehicle’s seat belt for theoutboard position, but you must use the vehicle’s seatbelt at the center position. If your child restraints are notLATCH-compatible, you can only install the child restraintsusing the vehicle’s seat belts. Please refer to“Installing the LATCH-Compatible Child Restraint System”for typical installation instructions. Child restraints systems having attachments designed toconnect to the lower anchorages are now available. Childrestraints having tether straps and hooks for connectionto the top tether anchorage, have been available for sometime. In fact, many child restraint manufacturers willprovide add-on tether strap kits for some of their olderproducts. Tether anchorage kits are also available formost older vehicles. Because the lower anchorages are to be introduced topassenger carrying vehicles over a period of years, childrestraint systems having attachments for those anchorageswill continue to have features for installation invehicles using the lap or lap/shoulder belt. They will alsohave tether straps, and you are urged to take advantageof all of the available attachments provided with yourchild restraint in any vehicle. NOTE: When using the LATCH attaching system toinstall a child restraint, please ensure that all seat beltsnot being used for occupant restraints are stowed and outof reach of children. It is recommended that beforeinstalling the child restraint, buckle the seat belt so theseat belt is tucked behind the child restraint and out ofreach. If the buckled seat belt interferes with the childrestraint installation, instead of tucking the seat beltbehind the child restraint, route the seat belt through thechild restraint belt path and then buckle it. This shouldstow the seat belt out of the reach of an inquisitive child. Remind all children in the vehicle that the seat belts arenot toys and should not be played with, and never leaveyour child unattended in the vehicle. We urge you to carefully follow the directions of themanufacturer when installing your child restraint. Not allchild restraint systems will be installed as described here. Again, carefully follow the installation instructions thatwere provided with the child restraint system. The rear seat lower anchorages are round bars,located at the rear of the seat cushion where itmeets the seatback, and are just visible whenyou lean into the rear seat to install the childrestraint. You will easily feel them if you run your fingeralong the intersection of the seatback and seat cushionsurfaces. In addition, there are tether strap anchoragesbehind each rear seating position located in thepanel between the rear seatback and the rearwindow. These tether strap anchorages areunder a plastic cover with this symbol on it. Many, but not all restraint systems will be equipped withseparate straps on each side, with each having a hook orconnector for attachment to the lower anchorage and ameans of adjusting the tension in the strap. Forwardfacingtoddler restraints and some rear-facing infantrestraints will also be equipped with a tether strap, ahook for attachment to the tether strap anchorage and ameans of adjusting the tension of the strap. You will first loosen the adjusters on the lower straps andon the tether strap so that you can more easily attach thehooks or connectors to the vehicle anchorages. Next,attach the lower hooks or connectors over the top of theseat cover material. Then rotate the tether anchoragecover directly behind the seat where you are placing thechild restraint and attach the tether strap to the anchorage,being careful to route the tether strap to provide themost direct path between the anchor and the childrestraint. Finally, tighten all three straps as you push thechild restraint rearward and downward into the seat,removing slack in the straps according to the childrestraint manufacturer’s instructions. • Ensure that the tether strap does not slip into theopening between the seatbacks as you remove slack inthe strap. • When using the LATCH attaching system to install achild restraint, please ensure that all seat belts notbeing used for occupant restraints are stowed and outof reach of children. It is recommended that beforeinstalling the child restraint, buckle the seat belt so theseat belt is tucked behind the child restraint and out ofreach. If the buckled seat belt interferes with the childrestraint installation, instead of tucking the seat beltbehind the child restraint, route the seat belt throughthe child restraint belt path and then buckle it. Thisshould stow the seat belt out of the reach of aninquisitive child. Remind all children in the vehiclethat the seat belts are not toys and should not beplayed with, and never leave your child unattended inthe vehicle. Improper installation of a child restraint to theLATCH anchorages can lead to failure of an infant orchild restraint. The child could be badly injured orkilled. Follow the manufacturer’s directions exactlywhen installing an infant or child restraint. 1. Rotate the cover over the anchor directly behind theseat where you are placing the child restraint. 2. Route the tether strap to provide the most direct pathfor the strap between the anchor and the child seat. Ifyour vehicle is equipped with adjustable rear headrestraints, raise the head restraint, and where possible,route the tether strap under the head restraint andbetween the two posts. If not possible, lower the headrestraint and pass the tether strap around the outboardside of the head restraint. 3. Attach the tether strap hook (A) of the child restraintto the anchor (B) and remove slack in the tether strapaccording to the child restraint manufacturer’sinstructions. An incorrectly anchored tether strap could lead toincreased head motion and possible injury to thechild. Use only the anchor positions directly behindthe child seat to secure a child restraint top tetherstrap. The passenger seat belts are equipped with AutomaticLocking Retractors (ALRs), which are designed to keepthe lap portion tight around the child restraint. The seat belt must be in the Automatic Locking Mode inorder to enable a child restraint to be tightly installed. Refer to “Automatic Locking Mode” for further information. A locking clip should not be necessary once theautomatic locking feature is enabled. Position the shoulderand lap belt on the child restraint. The AutomaticLocking Retractor (ALR) is activated by first attachingthe child seat, then pulling all of the webbing out of theretractor, then allowing the webbing to retract. As thewebbing retracts, you will hear a clicking sound. Thisindicates the safety belt is now in the Automatic LockingMode. To release, simply unbuckle the seat belt bydepressing the button, and allow the webbing to retractinto the retractor. In the rear seat, you may have trouble tightening thelap/shoulder belt on the child restraint because thebuckle or latch plate is too close to the belt path openingon the restraint. Disconnect the latch plate from thebuckle and twist the short buckle-end belt several timesto shorten it. Insert the latch plate into the buckle with therelease button facing out. If the belt still can’t be tightened, or if pulling andpushing on the restraint loosens the belt, you may needto do something more. Disconnect the latch plate fromthe buckle, turn the buckle around, and insert the latchplate into the buckle again. If you still can’t make thechild restraint secure, try a different seating position. Children who are large enough to wear the shoulder beltcomfortably, and whose legs are long enough to bendover the front of the seat when their back is against theseatback, should use the lap/shoulder belt in a rear seat. • The child is upright in the seat. • The lap portion should be low on the hips and as snugas possible. • Check belt fit periodically. A child’s squirming orslouching can move the belt out of position. • If the shoulder belt contacts the face or neck, move thechild closer to the center of the vehicle. Never allow achild to put the shoulder belt under an arm or behindtheir back. Airbags deploying in the front seat could harm your pet. An unrestrained pet will be thrown about and possiblyinjured, or injure a passenger during panic braking or ina collision. Pets should be restrained in the rear seat in pet harnessesor pet carriers that are secured by seat belts.